If your water consumption is higher than it should be, with no explanation for the thousands of gallons of water usage, it is time to call us for advanced leak detection methods and technological systems to identify the cause and begin lowering your usage today! With the use of our advanced water leak detection equipment we can isolate the cause of water leakage and perform repair or replacement services the same day. Call us at once if you suspect water leakage to reduce potential damage to your home or property in Lacey, and to bring your utility bills back in line. 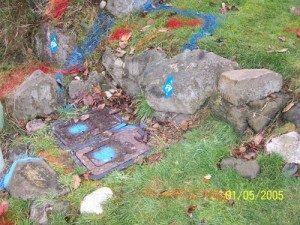 What are the Signs of a Water Leak in Lacey Homes? In many cases of excessively high water bills the cause can be traced to a leak in your water service line, excessive use of water, or toilet leaks. We are experienced in locating water leakage from plumbing fixtures, leaking pipes inside the walls, pipeline leak detection, and under concrete slabs with minimal disruption to your property with the use of state-of-the-art leak detection equipment. 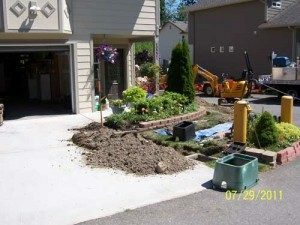 If you suspect water line leaks and you are concerned about tearing up your beautiful landscape, patio or driveway in Lacey, we have a leak detection option that can pinpoint the source of the water line leak while minimizing the amount of damage repair costs. With the use of our advanced water leak detection equipment our trained technicians can accurately locate pipeline leaks buried beneath the soil or plumbing problems and leaking pipes. Call Clearwater Leak Detection at the earliest sign of a sudden spike in your utility bill to avoid a costly pipe burst or extensive property damage.